IRCTC Registration (New Account Signup Process): www.irctc.co.in Wish to reserve your railway ticket through the online process on Next Generation site? It can happen! All you need is to create a new IRCTC account. This is one of an undemanding work. Yes, there’s no need for much effort to make an account on Indian Railways. Technology has been developing rapidly and so our connection with the technology. Fed up of going to the railway stations and waiting for your turn to book your ticket? Here’s what you need to do then. Just go online and reserve your seat sitting at home. 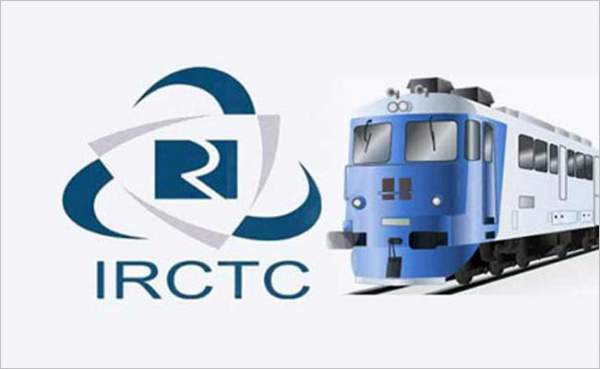 How To Create Account On IRCTC: Registration and Sign Up Process? 1 How To Create Account On IRCTC: Registration and Sign Up Process? 1.2 How to Register to IRCTC for a new account using the official website, irctc.co.in? 1.3 IRCTC Registration: How to activate and use your IRCTC account for ticket booking? Both the questions hold an answer that sounds as one of a trouble-free task. Sometimes, your hectic schedule may not allow you to go to the railway station and reserve your booking. In that situation, all you need is an online booking. So, it sounds like a must for you all to know about the online booking system. Given below are the instructions you need to follow for using Indian Railway Catering and Tourism Corporation. Firstly, I will let you know about the ‘Sign up process’ and after that the ‘operating process’. IRCTC has also developed one mobile application with the name – IRCTC Connect Mobile app. It is available for both platforms – Android and iOS. You can download if from Google Play Store to your Android smartphone or App Store to your iPhone. Open the app and it will show you two options- IRCTC login or IRCTC signup. Click on the sign-up (register) option. Fill in the particulars and press Next button. Verify your account with your mobile number and email address. Login and make your booking. How to Register to IRCTC for a new account using the official website, irctc.co.in? Press the sign-up option for a new account. There will come up with a ‘Registration Entry Form’. Here is the IRCTC sign up link. Use any username. Fill up the particulars. Verify your account with your mobile no & email id. Press on ‘OK’ toggle to confirm. Tick on accept the conditions. IRCTC Registration: How to activate and use your IRCTC account for ticket booking? Fill your mobile no & email id for verification. Verify your mobile no & email id with OTP. Your account has been made successfully and verified. You may use your account for IRCTC booking your tickets sitting at home. No need to wait for your turn at the railway stations for reserving your seat. Use the IRCTC app or website for your online booking. The most important part now is the booking. Don’t panic for giving your details regarding the payment option. It is completely safe and secure to use. If you wish to skip payment through your debit cards or net banking system, you may use the PayTM or e-wallet to make the payments. Any query left? Make a comment for the same. We are here to help you! Hope you got to know about irctc registration. In the coming posts, we will be updating regarding tatkal / regular ticket booking, ticket cancellation, cancellation charges, etc. IRCTC next generation website has been released. It offers e-ticket to SMS alerts to food delivery via e-catering to users.